Even though it was created by Bayer in the 1980s and used in Europe and Australia as an insect repellent, under the name “Icaridin” since 1998, picaridin is relatively to the United States – only coming to market as a skin (and clothing) repellent in 2005. Picaridin is a synthetic version of an extract from the plant genus Piper – which is the same species that makes table pepper. Picaridin can be found in sprays, lotions, and wipes (or towelettes) – typically with a 20% concentration of the substance. Even though a 20% concentration of picaridin is pretty standard for products that contain it, how long each product is effective depends on how it is formulated, what type of product it is, and environmental factors (e.g. heat or moisture). A liquid-based picaridin spray could last up to eight hours, while a lotion could last significantly longer – possibly up to 12 or 14 hours. Be sure to check the manufacturer labels how long it will last before using a product. Picaridin products seem to be as effective at repelling ticks (and other biting insects) as DEET products. However, so far, picaridin seems to be free of some of the problems commonly associated with DEET. Picaridin is odorless, does not have the same greasy texture as DEET, and will not damage materials like plastics and fabrics. 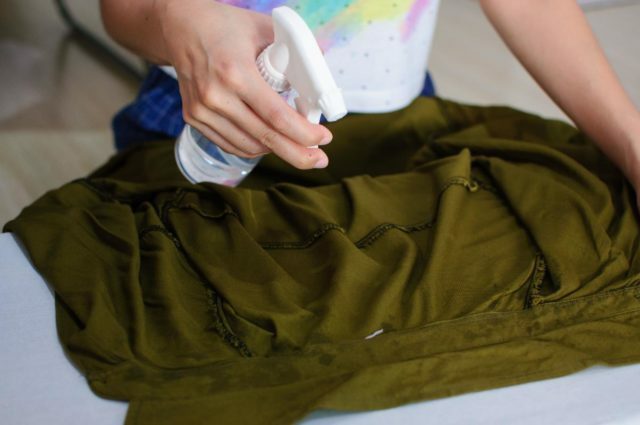 Because of this, picaridin can also be used as an insect repellent on clothing and gear – although it does not last as long as permethrin. 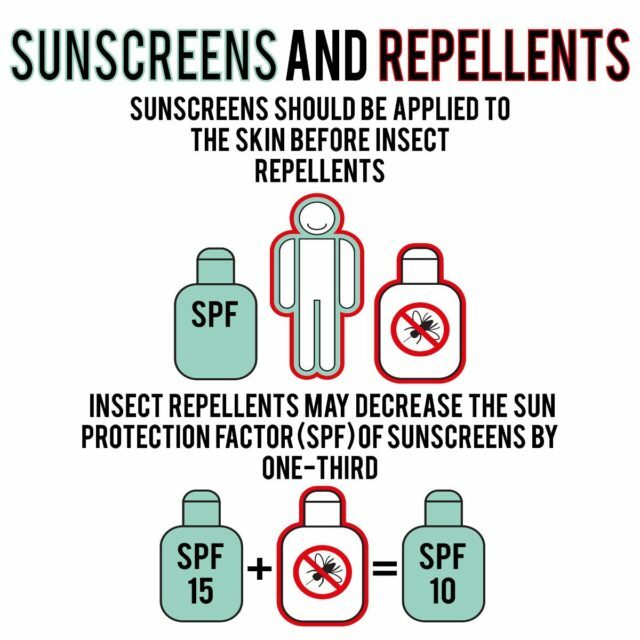 Use the lotion forms of both the sunscreen and the repellent. For best results, choose a bonding base sunscreen and a controlled release repellent. Apply the sunscreen first, and then wait at least 10 minutes before applying the repellent lotion. Always follow the manufacturer’s directions and warnings for each product. The Environmental Protection Agency (EPA) has deemed picaridin to be of slight acute (immediate) toxicity when applied to the skin or taken orally, based on lab trials involving rats, and there have been very rare incidents where people have experienced some skin irritation when using picaridin products. 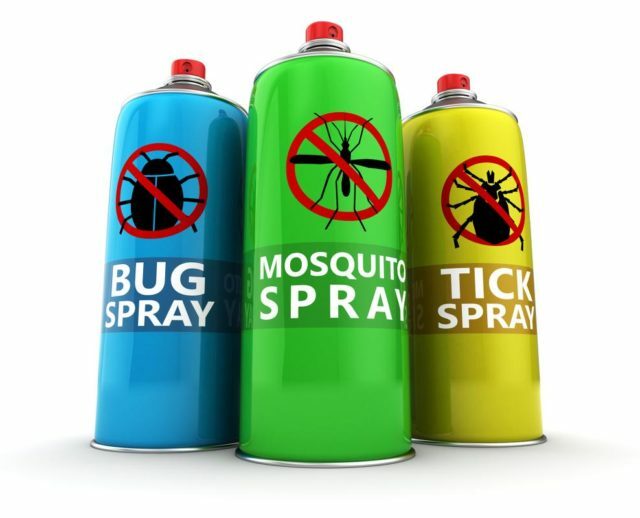 However, no serious acute reactions have been reported from people using picaridin as an insect repellent. When picaridin is applied to the skin, less than 6% of it is absorbed into the body, and a person will pass nearly all of that absorbed picaridin, through the urine, within a day or so of exposure. Also, even though the EPA rates picaridin as “practically non-toxic” to the eyes and when inhaled, it is a good idea to keep it away from your eyes and nose. The EPA has documented no long-term health risks associated with the normal use of picaridin. But it is still relatively new to the American market, so that could change with further research. Always read all of the manufacturer’s directions and warnings before using a picaridin product to make sure you are applying it correctly.